I've been playing this game for just about a year now, haven't spent any money yet. I always thought "why would I spend any money on a weapon now which will be obsolete again in a few weeks or a few months time, I'll spend the money once I'm at level 24", which then became 25 and now 26 and soon 27?? At this rate, this means I will simply never spend any money. And I think there's really a lot of people in the same boat here. I think you really have this kind of backwards guys... business wise I mean. I think you're now only earning money from the 1%... if you want to earn money from the other 99% there's in my eyes 2 ways to go about this: Or you stop adding levels (which wil probably not happen too soon), or you sell the gear separately for cheaper then the bundles are now. E.g. I hear quite some people are buying a gas-booster on a weekly basis, because "it's just the price of a coffee"... If you make the weapons the price of a coffee in stead of the price of a whole game, it will make a big difference! free time on sunday, huh? @youngbesyz What's that supposed to mean? Care to bring anything meaningful to the discussion? And now they have tokens to increase paid for weapons. 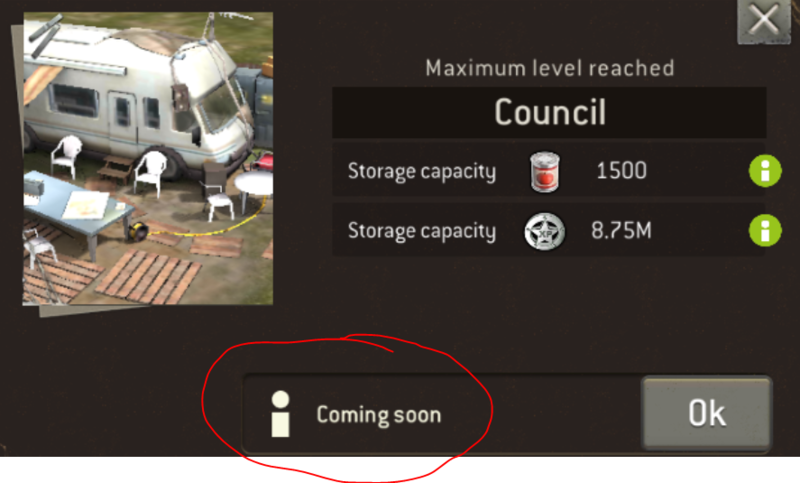 Coming soon doesn't mean coming soon, it means 3 or probably 4 months. I believe NG used to run quarterly council updates but the last one was longer (4-5 months)? Increasing level cap and power creep is a function of most games and pretty much the only way NG is going to convince paying players to spend on new gear bundles. FWIW, I think every 4 months is about right although 6 would be preferred. @DrUnpleasant I believe the last 3 have been consistently every 6 months. April/October/April. Hopefully they keep it this way and more upgrade tokens find their way into the game to lessen the need to constantly buy weapons. Cheers dude - I've only been max level for a few months so this is the first time I've got in at the start of a council upgrade (and as a result, probably the first time I'll spend a bit on a decent weapon or armor bundle). 6 months is more than reasonable IMO. @fretje you couldn't be more right! !